In the United States it’s incredibly common for sporting events to be overdramatized and made a spectacle of with military involvement, tens of thousands of fans, and famous individuals making appearances. Fiorentina’s game three was a unique experience for an American to attend. The expected entertainment of a basketball game was still present, but there was a lack of the usual American flare. I previously worked with an American universities athletic marketing and promotions office and am used to planning entertainment for the attending crowd. It was unusual for me to be at a game that did not utilize free time during timeouts and halftime to keep the crowd engaged. Normally there is a brief period of a minute and a half to two minutes where a promotion can be thrown in during a game stoppage. Due to halftime being so long a more detailed and longer promotion, such as giant skee-ball, can occur. The only promotional material provided to spectators was three slips of paper, which one was for Fiorentina itself, and sponsor banners lining the base of the arena. Another clear distinction between Italy and the U.S. is arena size. In the U.S. it is common to be in a stadium that can fit tens of thousands. A medium sized arena can still fit over five thousand spectators. This is starkly different from Florence, which has relatively very few stadiums that can fit thousands. In fact, Florence’s large stadiums are roughly the size of a medium sized college arena. However, through all of these differences the entertainment of a basketball was still there. Outside of the bells and whistles that the U.S. attaches to their sporting events they were not that different. 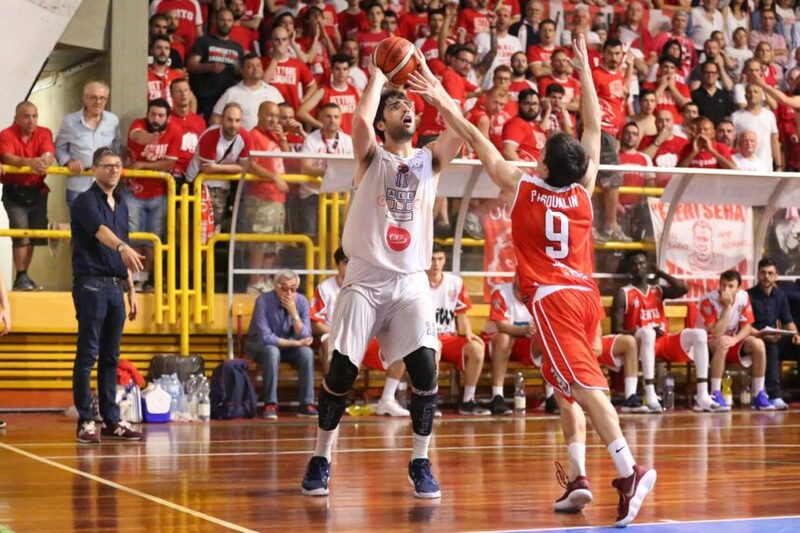 The game was still highly contested until the fourth quarter with score only getting away from Fiorentina Basket about halfway through the quarter. Tensions ran high throughout the game with at least five technicals occurring. The final score was 79-60 in favor of Baltur Cento.